Legalese Attorney Service has been serving the greater Sacramento area and the State of California since 1978. 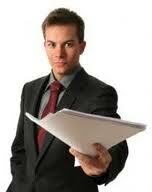 Legalese is long-standing privately-owned attorney service offering quality dependable service. Service of process is a crucial element in the California legal process. The term comes from the Fourth Amendment to the United States Constitution, which guarantees that no person shall be deprived of life, liberty, or property without “due process of law.” That is why it is called process service. As a professional California Process Server, Legalese Attorney Service establishes jurisdiction of the California courts and notifies persons or businesses of a legal action, an essential first step in the legal process. Service of Process has been called the hook from which the chandelier of a lawsuit hangs. As in most endeavors, there is no substitute for experience. Since we have been a professional California process server in this area since 1978, very few legal service companies have as much experience. All of our process servers are registered and bonded. Contact us for a free consultation on all your California process serving needs. Contact us to inquire about cities not listed above for process service.